Your safety, and the safety of your family and friends, is very important! It is vital to everyone’s safety that you read and heed the following safety precautions. Review them as often as necessary to ensure that your enjoyment of your new VAJDA GROUP product is always safe. Extreme caution must be exercised to prevent unauthorized access by children. To avoid accidents, ensure that children cannot use this spa unless they are supervised at all times. • Risk of Accidental Drowning. • Children are not allowed to use the spa without adult supervision. • Do not use the spa unless all suction guards are installed to prevent body and hair entrapment. •Do not use the spa if the suction heads are damaged. Never replace suction heads by yourselves. •Do not use the spa just by yourselves. There should be another person near by. • Use the spa straps and clip tie downs to secure the cover when not in use. This will help to discourage unsupervised children from entering the spa and keep the spa cover secure in high wind conditions. There is no representation that the cover, clip tie downs, or actual locks will prevent access to the spa. • Risk of Electric Shock. • Do not permit any electrical appliance, such as a light, telephone, radio, television, etc. within 1,5 m of a spa. • Install the at least 1,5 m, from all metal surfaces. • Never bring any electrical appliances into or near the spa. Never operate any electrical appliances from inside the spa or when you are wet. • Since excessive water temperatures have a high potential for causing fetal damage during the early months of pregnancy, pregnant or possibly pregnant women should limit spa water temperatures to 38° C.
• Before entering a spa, always test the water temperature with your own hand to ensure that is not overheated. • To avoid injury, be careful when entering or exiting the spa, Wet surfaces can be very slippery. • Water temperature higher than 38° C may be injurious to your health. 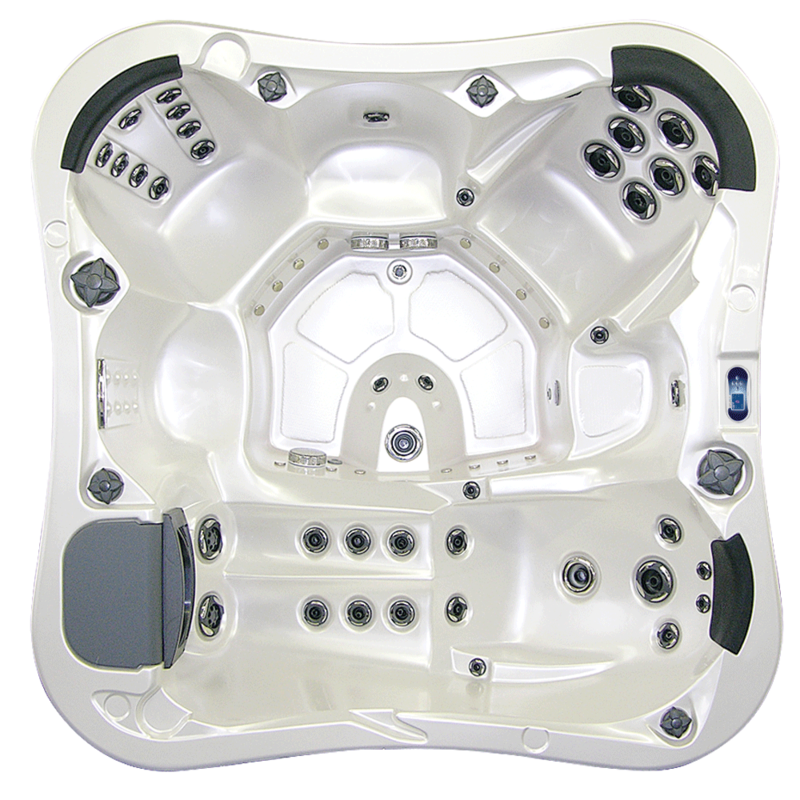 • Prolonged immersion in a spa or hot tub may be injurious to your health. • Do not use a spa or hot tub immediately following strenuous exercise. - Unconsciousness resulting in the danger of drowning. • The use of alcohol or drugs can greatly increase the risk of fatal hyperthermia in spas. • Do not use the spa under the influence of alcohol, narcotics, or other drugs. Use of the spa under these conditions may lead to serious consequences. • People suffering from heart disease, diabetes, high or low blood pressure, obesity, pregnant women, elderly, infants or people with any conditions requiring medical treatment should consult with a physician before using a spa. Make sure the spa is connected to RCCB Residual Current Circuit Breaker protected circuit. This RCCB is required by IEC as an European standard and must be installed by licensed electrician. Test the RCCB monthly. Test the water with your hand before entering the spa to be sure it is comfortable. Instruct every user how to use the spa properly and inform about the risk of the spa using. Remember that the wet surface can be slippery. Take care when entering and exiting the spa. Enter only by way of the steps in the spa. Do not step on the spa edges or filter lids. Use the thermal cover when the spa is not in use, empty or full. Take steps to prevent the intrusion of sand and dirt into the spa. Maintain proper water chemistry. Clean the filter cartridge weekly. Don’t use the spa for long periods of time at temperature over 38 ° C.
Don’t operate the spa without water. 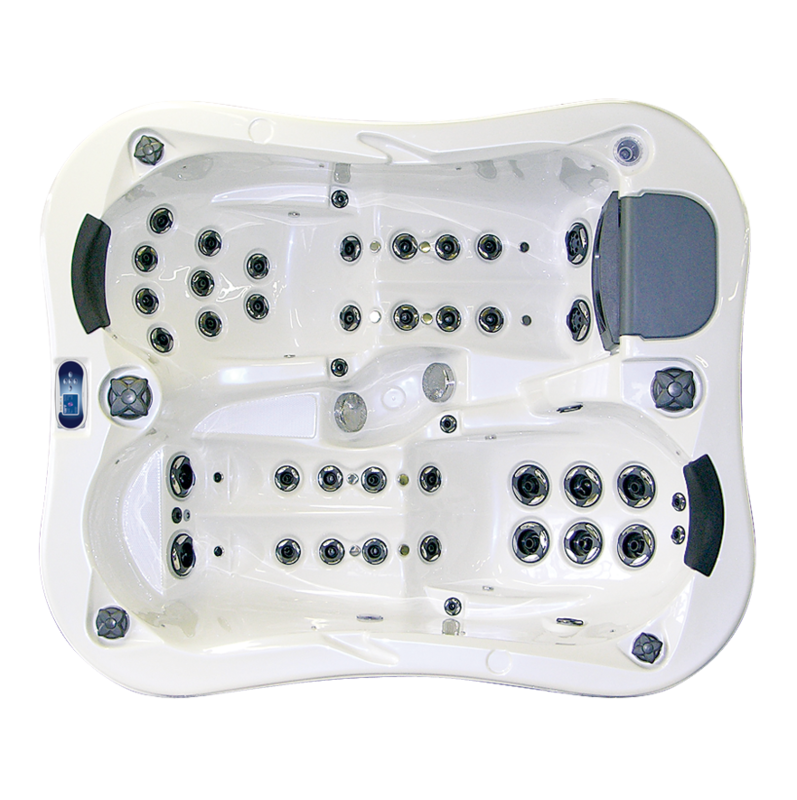 Turn the circuit breaker off before emptying the spa and while it is empty. Don’t store chemicals in the spa equipment compartment. Don’t open the electrical box. There are no user serviceable parts inside. Don’t stand on the spa cover. Don’t operate the pumps on hi-speed for extended periods of time with the cover on. Extended hi-speed pump operation will cause a slow heat build-up due to water friction, which could trip the spa’s hi-limit thermostat. Don’t block or sit on the filter area. Don’t allow horseplay or unsupervised use of your spa. 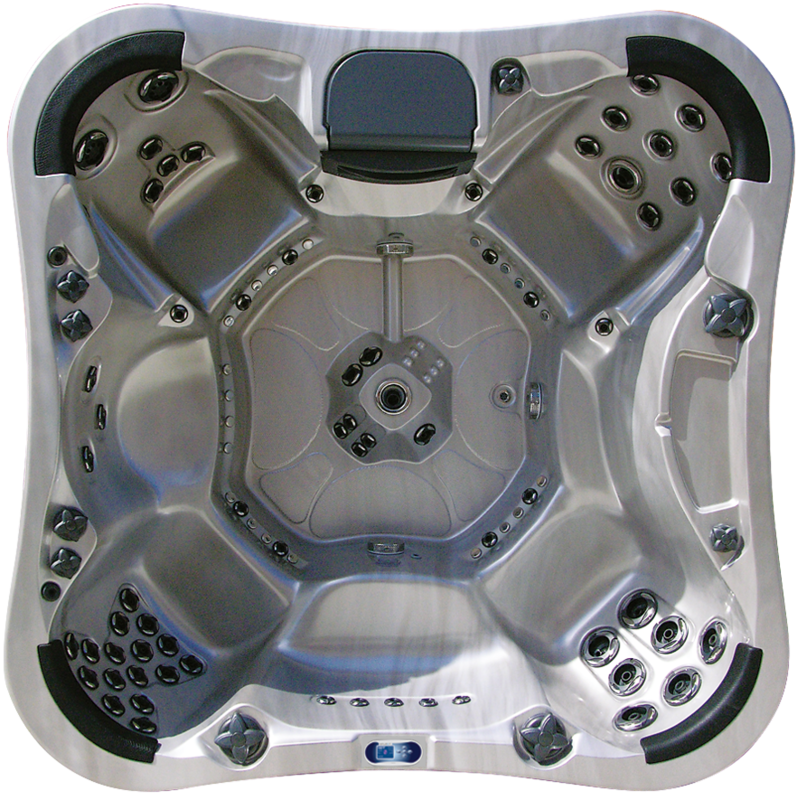 Don’t allow anyone to tamper or play with any of the safety or suction fittings of your spa. • If you leave the spa on direct sun light when it is packed in plastic foil. • If you leave the spa without the water on the open sun. • If you fill the spa with the transportation wooden logs On. • If the spa is flooded from outside (big storm etc.). 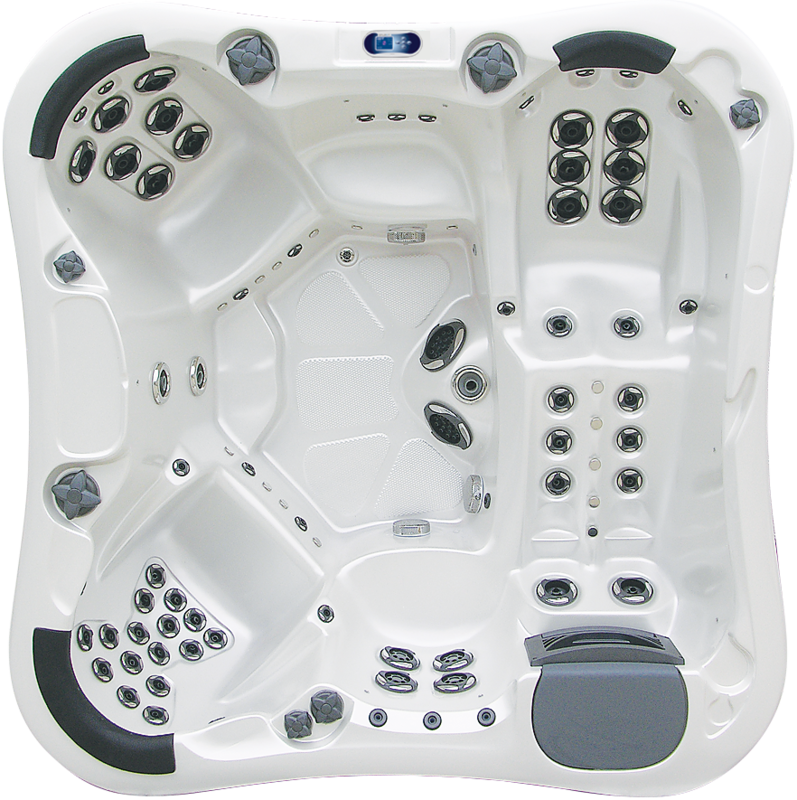 • If you storage or transport the spa in vertical position. • If you drain the spa and leave it outside on the freezing conditions. • If you turn the spa off on the freezing conditions. • If you place and use the spa on uneven or not solid surface. • All damages caused by improper - Handling, installation, use, service or lack of service will void warranty. • If you use the spa with no sufficient water level. • If you use improper chemicals or chemicals contain too much chlorine. • If you use the water that contains too much Iron in combination with a wrong PH level and chemicals. • If you turn most of jets off you create big pressure inside the system that can cause some damage. 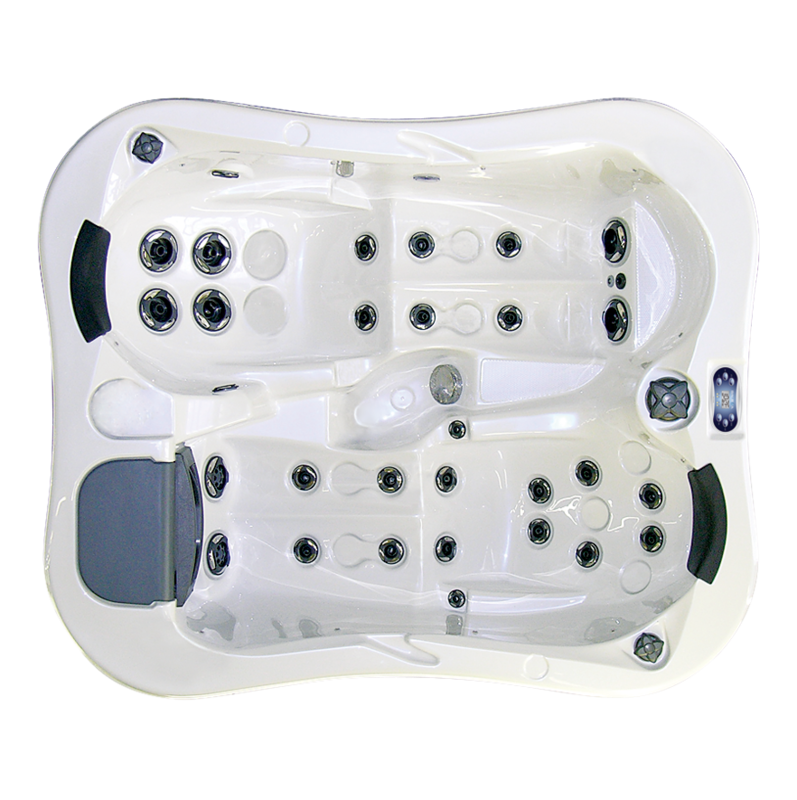 Water in the spa have to be properly sanitized and treated with a suitable water chemicals. FOR THE WATER CARE USE THE CHEMICAL RECOMMENDED FOR THE USE IN SPAS ONLY!!! DO NOT USE CHEMICALS FOR SWIMMING POOLS, DO NOT USE CHLORINE TABLETS DIRECTLY TO THE WATER WITHOUT DISPENSER!!! It can cause the damages which are not under the warranty!!! Read carefully all these instructions! Using improper chemicals or chemicals contain too much chlorine will void warranty. Specially head cushions are sensitive to chlorine . 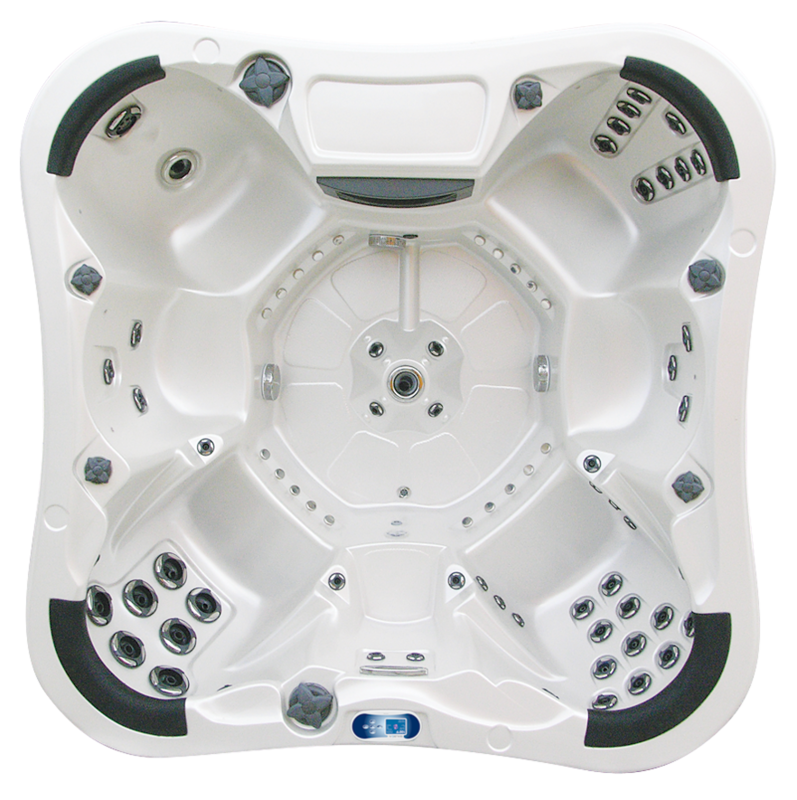 If you need to shock the spa with chlorine take the head cushions out until the level of chlorine is within standard specification . Take Filter all Filter Cartridges Out. Turn the Spa OFF wait for a while and turn it back On. Measure the water with external thermometer, if available..
Be ready to answer questions to our technician. This helps to find the best and fastest solutions.